first published by Lapido Media, using the title "Aleppo Horror: Be careful whose side you're on"
Is the Western media blinkered in the midst of Aleppo horror? FOR every bloodied child in rebel-held eastern Aleppo, there is a bloodied child in the government-held west of the war-torn city. 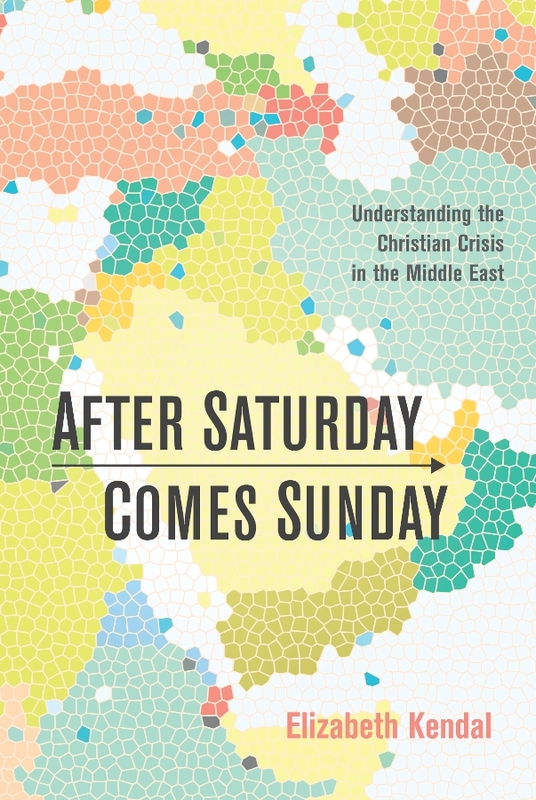 While an estimated 250,000 people remain in the rebel-held east, more than a million – including some 40,000 Christians – remain in the government-held west. Churches – which operate freely in western Aleppo – describe the fighting in July as the worst they have ever experienced. On one day alone in mid July, some 250 rebel rockets rained down on Aleppo’s Christian quarter in the space of four hours. On 25 June, the Syrian Government launched the Castello Operation aimed at severing the rebel supply-line that runs through the north of the city en route to Turkey. Advancing under Russian air cover, Syrian forces approached the Castello Road from the north and from the south in a pincer manoeuvre. 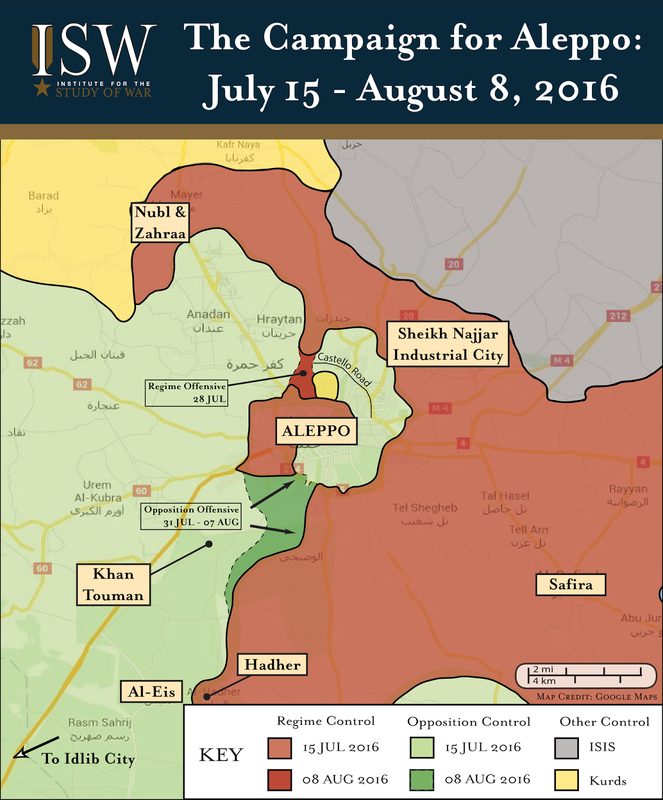 By 26 July the rebel supply-line had been cut and two days later, rebel-held eastern Aleppo was besieged. The government opened three humanitarian corridors and promised four more. The strategy is as old as war itself: cut the supply, besiege the city, increase the pressure and then open the vents to allow the escape of human shields and surrendering fighters. Syrian forces liberated Homs by this means. Indeed, the US-backed, mostly Kurdish Syrian Democratic Forces recently liberated Manbij from Islamic State this way. But if these rebels have learned anything it is how to fight asymmetrically. Aware of the propaganda value of human shields, the rebels convince them to stay. In this they were aided by US Secretary of State John Kerry who echoed rebel claims that the humanitarian corridors ‘could potentially be a ruse’. Consequently, only a few dozen families trickled out, with most opting to stay. Russian Defence Minister Sergei Shoigu described them as ‘hostages’, claiming they actually were unable to flee as the rebels had mined the humanitarian corridors and set snipers over them. 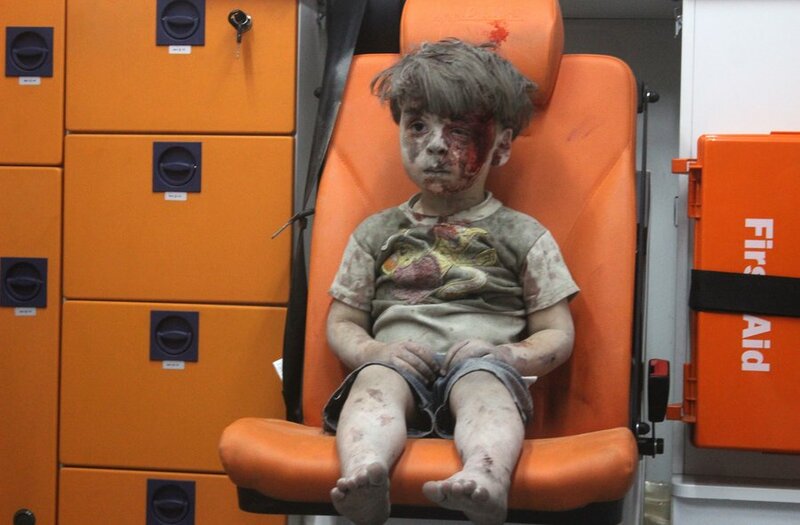 Had the family of five-year-old Omran Daqneesh – whose gut-wrenching image adorned newspapers across the globe last week - escaped through the humanitarian corridors opened then he would not have ended up sitting bloodied in the back of an ambulance. Moreover his brother, Ali, 10, would not have died. On 31 July, rebels belonging to Jaysh al-Fatah (Army of Conquest) launched a counter-offensive in south-western Aleppo, and by 6 August had broken through the siege. Western mainstream media cheered loudly for what the Institute for the Study of War described as ‘a major victory for al-Qaeda in Syria’. On 7 August the Jaysh al-Fatah Operations Room released a statement declaring its intention to take the jihad into western Aleppo so as to capture the entire city. Jaysh al-Fatah is an al-Qaeda-led rebel coalition dominated by Jabhat Fatah al-Sham (formerly Jabhat al-Nusra) and Ahrar al-Sham (a Salafist outfit modelled on the Taliban). Because the Jaysh al-Fatah coalition also includes a few much smaller US-backed militias, Jaysh al-Fatah profits from US weapons and US protection. To quote the Russian President, the ‘terrorists’ might be ‘rough and cruel people, but they’re in no way primitive or silly’. The US has proscribed Jabhat al-Nusra (Jabhat Fatah al-Sham) as a terrorist organisation and agreed with Russia that it should be targeted. However, the US has not been able to convince its ‘good rebel’ proxies to disengage from their al-Qaeda affiliated allies - and this has hampered US anti-terror efforts. Convincing US-backed rebels to disengage from Jaysh al-Fatah will be even more difficult now that Jaysh al-Fatah – which already holds the provincial capital of Idlib – has achieved such success in Aleppo. Islamic fighters – including displaced Islamic State jihadists – will be flocking to join the ranks of Jaysh al-Fatah now. Meanwhile, the humanitarian situation in western Aleppo is deteriorating rapidly. Electricity is limited and, due to recent fighting, the flow of water and the main supply line have been cut, meaning water, food, fuel and medicines are all scarce. As the rebels – around 95 percent of whom are foreign: Chechens, Saudis, Uzbeks, Chinese Uyhgurs among others – press in on western Aleppo, loyalist Syrians feel both the war and the prospect of slaughter inching closer. Despite the dire situation, western Aleppo’s churches of all denominations continue to serve and minister as funds are pumped in from churches and Christian advocacy groups on the outside. Aleppo’s Saint Elias Cathedral (Orthodox) is caring for some 4,000 families recently displaced from southern Aleppo’s 1070 district – half of them Muslim, half of them Christian. Similarly, Jesuit priest Fr Ziad Hilal said the churches are working to feed the hungry, regardless of their religion. He said: ‘We have a big kitchen, this kitchen was sponsored by ACN (Catholic charity, Aid to the Church in Need) and other associations, and a lot of people come – we give about 7,500 meals every day. That Western mainstream media cares so little about the plight or fate of loyalist Syrians is nonsensical, for of all the groups in Syria today, loyalist Syrians (non-Islamist Muslims, Alawites and Christians) are the group with which most westerners would have the most in common. Instead, the media apparently cheers rebels who represent everything they abhor and would slaughter them in a heartbeat. If there is one thing al-Qaeda and Islamic State (IS) agree on, it is the treatment of infidels. Elizabeth Kendal is an international religious liberty analyst and advocate. She publishes a weekly Religious Liberty Prayer Bulletin to help facilitate strategic prayer; serves as the Director of Advocacy at Canberra-based Christian Faith and Freedom; and is an Adjunct Research Fellow in the Arthur Jeffery Centre for the Study of Islam at the Melbourne School of Theology. 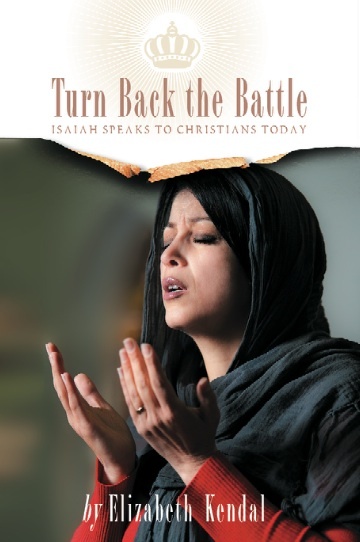 Elizabeth Kendal has authored two books: Turn Back the Battle: Isaiah Speaks to Christians Today (Deror Books, Melbourne, Australia, Dec 2012) which offers a Biblical response to persecution and existential threat; and, After Saturday Comes Sunday: Understanding the Christian Crisis in the Middle East (Wipf and Stock, Eugene, OR, USA, June 2016).